The observations were made by Justice V Gopala Gowda who was part of the bench along with Justice Arun Mishra which quashed the land acquired by the then Left Front government in the state to facilitate Tata Motors with its small car project Nano. 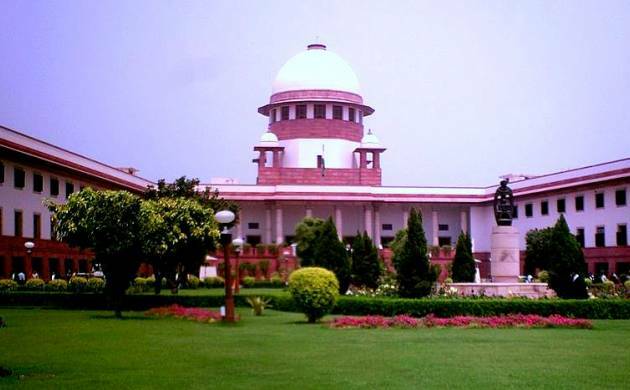 Weakest sections of the society always bear the brunt of land acquisition done in the name of fast-paced development, the Supreme Court today said, holding that the West Bengal government did not follow the law in the Singur case. Justice Gowda held that the acquisition proceedings adopted by the state government were "perverse". "In this day and age of fast-paced development, it is completely understandable for the state government to want to acquire land to set up industrial units. What, however, cannot be lost sight of is the fact that when the brunt of this 'development' is borne by the weakest sections of the society, more so poor agricultural workers who have no means of raising a voice against the action of the mighty state government," he said. He noted that in the present case, it was the onerous duty of the state government to ensure that the mandatory procedure was followed scrupulously otherwise acquisition proceedings will be "rendered void ab initio in law." "Compliance with the provisions of the Land Acquisition Act cannot be treated as an empty formality by the state government, as that would be akin to handing over the eminent domain power of state to the executive, which cannot be permitted in a democratic country which is required to be governed by the rule of law," he said. Justice Gowda said that "it is also a well-settled principle of law that if the manner of doing a particular act is prescribed under any statute the act must be done in that manner or not at all." While holding the acquisition proceedings perverse, he said, "In instant case, what makes the acquisition proceedings perverse is not the fact that the lands were needed for setting up of an automobile industry, which would help to generate employment as well as promote socio-economic development in the state, but what makes the acquisition proceedings perverse is that the proper procedure as laid down under Part VII of the Land Acquisition (LA) Act read with Rules was not followed by the state government."